Work Day at the studio! My great friend Dane Rhodes from Smothered put out an invite for some of his friends to come do some “work around the studio” this weekend. It pays to have friends like Dane because 90 people responded! There will be 90 people at the studio tomorrow working their fingers to the bone. Don’t worry… I have fire ants and fire ants LOVE bony fingers! After the day’s work we will all be watching Smothered in the very location where it was shot! Pretty cool… especially since I now have evidence that the studio really is haunted! A “friendly spirit” seems to float around the lake area. I learned that an actress drowned up there in 1914. I’m in the process of finding out who and why now. Will keep you posted. Here’s to Dane and his friends. The studio is going to be MUCH better for the effort! Very big night tomorrow and I’m told that my blog no longer prints to my FaceBook page since the debacle last week. Can someone please advise me on how to get it “Re-Linked” before the “Sneaky Peek” of John Schneider’s Smothered tomorrow night? Sorry this wasn’t a real “Blog” but I need your help! Received a very nice note from a computer at FaceBook this morning saying that they had eliminated my account accidentally. It was concise and apologetic. Computers are that way. Thank you all who joined in the fight to make this happen. You did it! Now make sure and watch the mid season finale of Tyler Perry’s The Haves and the Have Nots tomorrow! It’s going to rock your world! 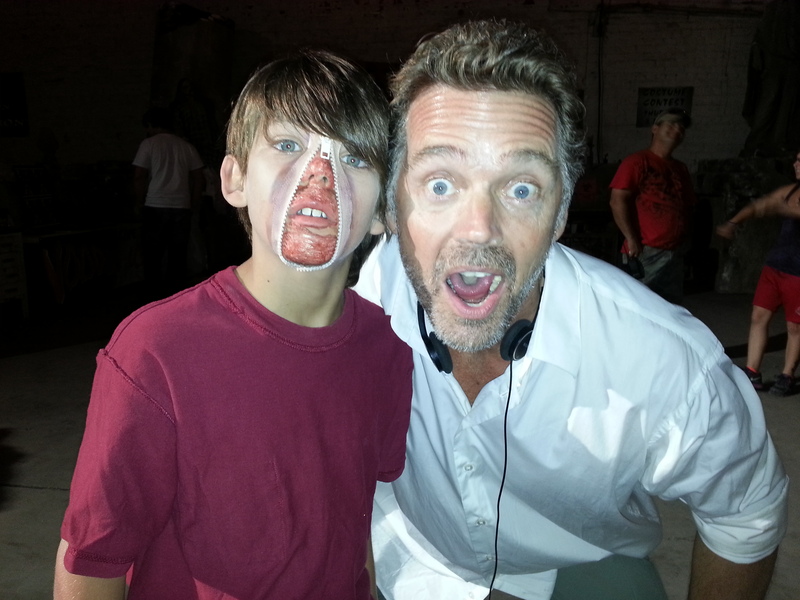 If you can make it to the Sneaky Peak showing of John Schneider’s Smothered at Mad Monster Party in Charlotte come on! It’s next Friday the 21st. I want it packed! Off to the hardware store… again!